Changed Data Capture as the term implies is used to capture the data that is inserted, updated and deleted at the source side and replicating the same at the target. ODI have a Journalizing KM to do the required implementation and it is basically into two types simple and consistent. Simple is used for CDC implementation on a single table and Consistent on Multiple tables or Model. In this post i will be covering Simple CDC concept . Look for my future post for Consistent based CDC implementation. I am going to implement the Simple CDC concept on this particular table – SRC_AGE_GROUP. The journalizing process is established. 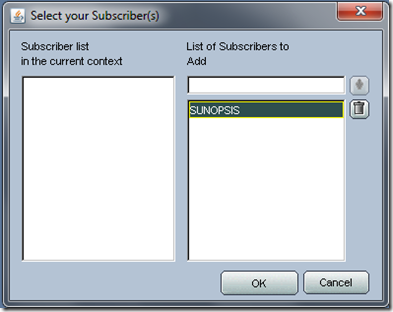 In the above execution ODI creates a Subscriber table in the work schema, J$ table, view and a trigger to capture any data changes when any Insert, Update and Deletion takes places. After successful execution you will be able to see a small green clock icon. Let’s do a simple mapping and test for CDC. 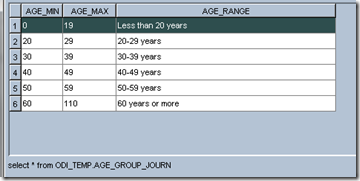 Drag the Journalized Table as source and the required target. On the Source Data store, check mark the option “ JOURNALIZED DATA ONLY “ and ODI will automatically add a filter with a required date condition and subscriber information, use the proper LKM and IKM as per your technology. For this Example I have used IKM Oracle Incremental Update. I have run it once to check whether its working fine or not. Now let me show you an example. I have removed the last column and change the third row age_max 39 to 35. There are two ways of seeing Journalized Data. 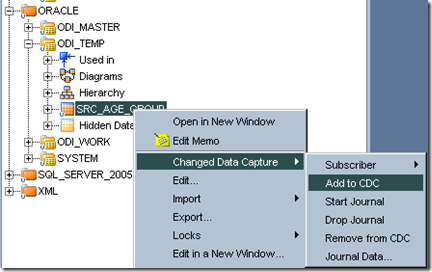 On the Journalized Interface source and Right click on filter and click on data. 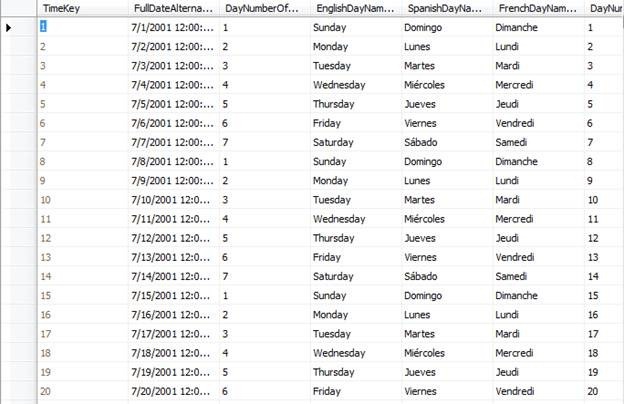 The Other way is to right click on Journalized data store in Model and Changed Data capture – > Journal Data and you will see the above data again too. Let’s capture the Journalized data to my Target table. As you can see, one Update and one Deletes. And if everything is start the journalizing will start. So far the best tutorial I have found on Changed Data Capture. What about Consistent based CDC implementation? 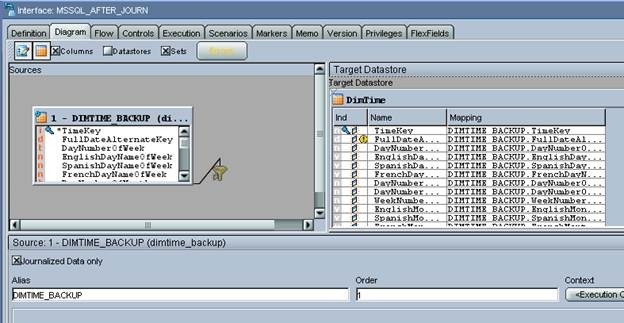 HI your tutorial is awesome, but i have a doubt , my project is based on ebs to drmdb integration using odi, now when i extract & transformed from ebs(source) to drmdb(target) and used that data in hyperion budgeting report,,, i have a doubt if the data is updated in ebs in future , does i will have that change in target as well or not???? or again i have repeat the reverse engineer process for that?????? When i am trying to implement CDC in ODI 11g, after performing Add to CDC and Starting Journal on source system. on source table, property inspector Journalized data only check box is greyed-out. Can you please let me know on this. its because in model, you would have not moved to journalizing tab and imported particular JKM(Simple or Consistent), move to designer tab -> particular model -> open -> move to Journalizing -> then import JKM-> select your particular Interface -> SAVE it. Then move to interface -> mapping , click on source tab -> then open property inspector -> JKM only option will be visible. Hi Cezar… Perfect Article! Tks! Thanks for this post. It is informative and provides a good guide about how to implement CDC using JKM. However, I have a very basic question about the usage of JKM, which I would like to put forward. Why do we need to use JKM for CDC, when the IKM-s (like IKM Oracle Incremental Update) already provide the means to capture changed data and thereby applying incremental logic out of the box. 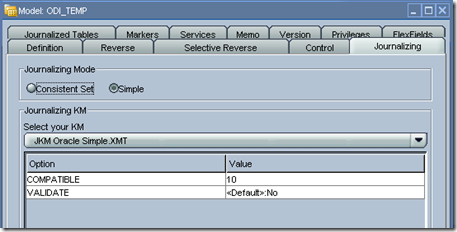 The IKM’s like Incremental update provides a way to insert or update the target table. The CDC allows you to get from source, only records that get some change from source. If you don’t know, at source side, what are the altered records, you always need to bring the entire source table to compare. How can I write the mapping once (ODI 12.1.3), and reuse it for first population and for reading the changes without need of checking – unchecking “Journalized Data only” within the mapping itself? Is there a central way in an ODI Package (for instance) to tell ODI to use the Jv$ tables instead? i am new to odi.,i followed the above shown steps to generate a CDC on my emp table.,but after selecting sunopsis as my user and clicking ok it is showing error that no KM are available.,but i imported the necessary JKM’s in to the odi. please help me. did you select the JKM at the model? How to create customized trigger(insert, update and delete) for the table instead of CDC trigger. i am just new to ODI functionality since i am only in to product Installation an ddeployment on Weblogic server. here i wanted to know like before we perform the step go to model->Data Store->CDC->Add to CDC , don’t we need to add Journalizing KM to the project? My source here is a Flatfile and target is Oracle RDBMS table. i am able to do an ETL and was trying simple CDC on it by chaning the source flatfile . so i was wondering how to do that and which is the exact KM i need to import in this case? How to start journalization on view ? which I can use in any interface. you can use the proecure or fun directly in the interface. Please provide the ODITEMP user permissions to start journalization. then which privilege do i need to provide to ODITEMP ? You need provide permission to the ODI user used in the topology so that it can perform the above operation. Topology user has create trigger privilege but its failing with insufficient privileges. So,what i need give to execute the above query. I am facing the below warning bcoz of this data is not loading to the target. ODI-1227: Task SrcSet0 (Loading) fails on the source ORACLE connection HDI. Please check to see if the ODI user used in Topology have the required select permission. SAP not recommend config its Database directly. Anyone run CDC on the Database where the SAP resides ? and are you successful without error on SAPGUI ? 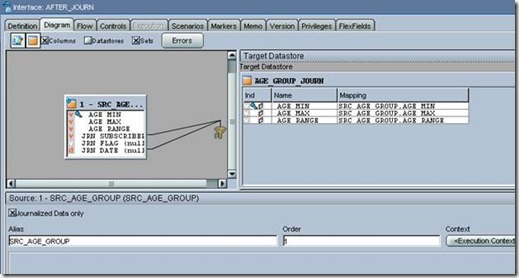 My source technology is SAP ABAP, where can I find JKM for this source ? Anyone work with CDC for SAP source system? I believe there is no CDC for SAP you can verify with Oracle if they provide it but you can run the CDC on the Database where the SAP resides. The customer wants to recover the data lost. Can you please provide your points on this. This is Yasar. I am still struggling with the same scenario as discussed and mentioned above by you. In addition to the two interfaces you mentioned, I made a third interface with only child table(jounalized). This performs deletes if any rows are deleted from child table. If i try using the interface in which child table is marked as journalized data only and joined to parent table it does not work. No records seemd to be removed from Target. Now as per Cezar’s question and my scenario inserts and updates will always come out of this join as both these columns are not null. 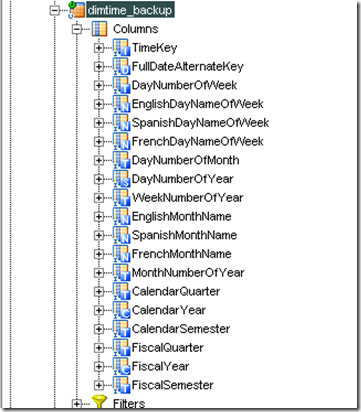 However dml operations (insert update) can happen on any column not only the columns used to join the two source tables. I am not sure if creating three interfaces to move changed data to target is a good way to go. What is there are more than 10 source tables? We will need to create number of inerfaces. 3. 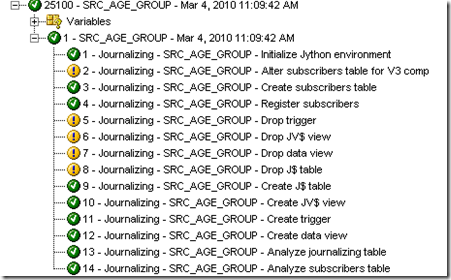 Select the two datastore that need to be jounalized. 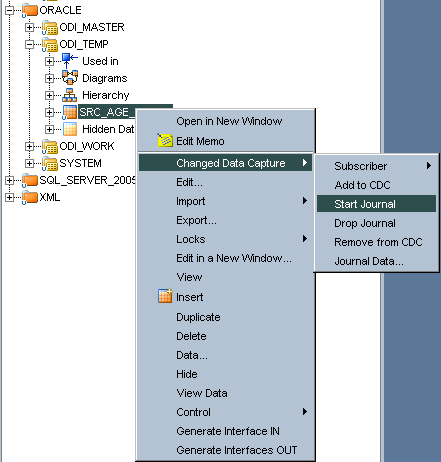 Add them to CDC by right clicking the datastore and then start journals. 5. Drag target tables. 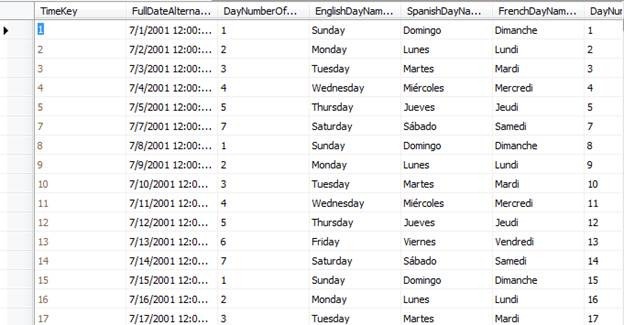 (contains columns from both tables and has inital load in it). perform mapping. 6. Drag both source tables perform join(cant leave one table as join is required). Check jounalize data only for one table. 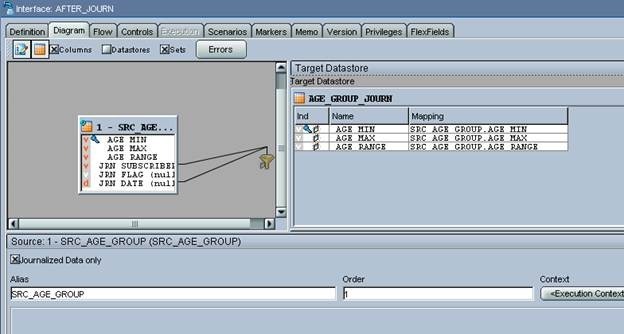 Create another interface and now mark other source table as journalize data only. Call both inerfaces in Package and execute package. Good to see you here, at ODI Experts!!! Of course that if exists 2 source tables there is a join between them. My question is, will records inserted/updated in any of the tables always “come out” of this join? Thanks for the reply but if you could explain more it would be helpful. I tried CDC Consistent. Only DML on datastore marked as “journalized Data only’ gets updated/deleted in target. If data gets updated/deleted in datastore not makred as ‘jounalized data only then nothing gets changed in Target. 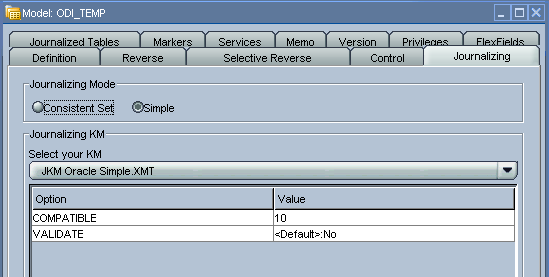 Can one interface manage DML operation performed on two source tables (Journalized – consistant set) and insert/Update/delete target accordingly. 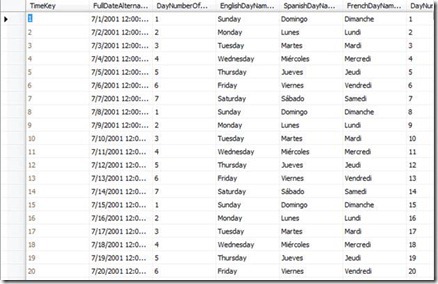 We can only mark one datastore as -Journalized Data Only- . it’s possible trigger the process from several tables. Take a look into the tools from package related to data capture. sequence of loading tables is possible. How to you implement CDC when there are two source tables and one target. In inerface we can check box “Journalize data only for one table” How will he changed data from other table be moved into target table. I tried to setup “start Journal;” in Oracle DB 10G using ODI 11G. I am getting the following error. Any help is appreciated. ODI-1228: Task src (Journalizing) fails on the target ORACLE connection src. I tried to set up journalizing as mentioned in this post but I am still having problems syncronizing deletes using SYNC_JRN_DELETE option. I created a thread(http://forums.oracle.com/forums/thread.jspa?threadID=2160037&tstart=15) at odi forums but haven’t got workable solution for this. Appreciate if experts can point me in the right direction. Does ODIExperts site have steps to step up consistent CDC? I was trying to find out but was unsuccessful! Presently None but we will write one sooner or later. Will the interface run automatically as soon the changes are made in the source table? CDC make use of the source trigger to capture the changed record and it wont trigger the interface ,but when you trigger the interface or if you call it in the package and scheduler it accordingly it can capture the changed records and sync the target. I’ve achived a replication real-time using OdiWaitForLogData. Thanks for explaining so nicely. I tried the steps that you mentioned and was successful in doing so. Now, as per this tutorial, we are deleting the records manually from the table which is journalized. What if we need to automate the deletion. 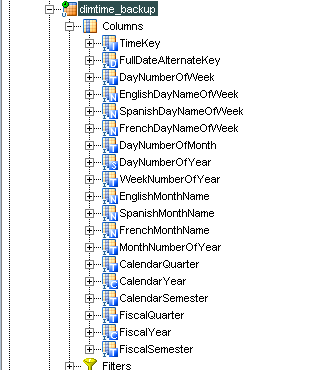 Eg: I extract members from Essbase database into a database table. I apply journalizing on this DB table. Now whenever a new member gets added or any member gets updated, the journalized data shows records with JRN_FLAG as ‘I’. What if i delete any member from Essbase? 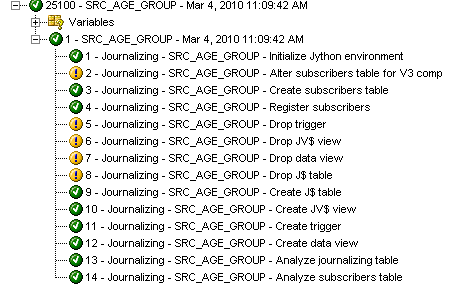 When these members are extracted, journalized data should show records with JRN_FLAG as ‘D’. Is it possible? 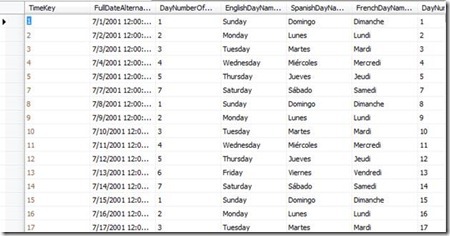 Take a look in OdiWaitForLogData or OdiWaitForLogData for instance…. The following question: How should be configured a replication real time?, How can I achive an automatic replication without manually executing the Interfaz?